About 100 parents, social workers and educators have just taken their seats in the bright, expansive auditorium of Neighborhood House in the heart of south Seattle’s 98118 ZIP code—the most diverse zip code in the U.S., according to the Census Bureau. That vibrant diversity rarely comes together in one room so visibly as it has today for Neighborhood House’s annual Data Carousel. David Johnson, Neighborhood House’s associate co-director of child development, explains to the group that Data Carousel lets Neighborhood House share information and actively collaborate with parents they serve, many of whom are recent immigrants. Johnson’s introduction complete, the tables—including tables for Somali, Spanish, Oromo and Amharic speakers—begin to buzz with conversation. Neighborhood House’s Data Carousel is just one example of an interaction with parents that would look very different today if not for the College of Education’s Equitable Parent-School Collaboration Project, led by Assistant Professor Ann Ishimaru and Associate Professor Joe Lott. 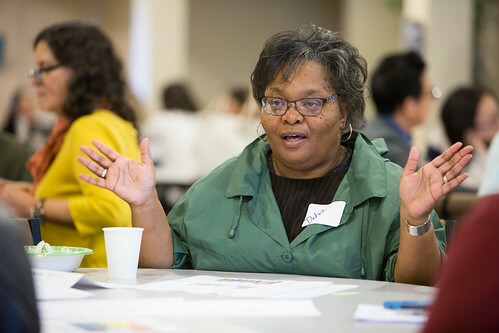 The project has been working with organizations and schools in the “Road Map” region—seven school districts encompassing Kent, Renton, South Seattle, Highline, Auburn, Tukwila and Federal Way—for about four years, to help them identify common indicators of family engagement and build capacity to forge stronger relationships with parents. The region has nearly 120,000 students who speak 167 different languages, with well over half being students of color or from low-income families. “Our work is based on the big idea that marginalized parents have valuable knowledge, experiences and cultural practices from which schools and districts can learn. If systems recognize how efforts to ‘fix’ families of color reinforce inequity, we can begin to push beyond traditional approaches that reinforce the status quo and only include certain people in the conversation,” Ishimaru said. The work—done in partnership with the Community Center for Education Results and supported by the Bill and Melinda Gates Foundation—has had different outcomes, but in every case the emphasis is on changing systems to enable historically marginalized parents to play a more equitable role as collaborators with schools and educational organizations, and to tap into their unique expertise to improve educational outcomes. In the Federal Way Public Schools, for instance, family liaisons reflect on their practice to more equitably bridge language, culture and power differences between diverse parents and educators and help parents advocate for themselves and their children. 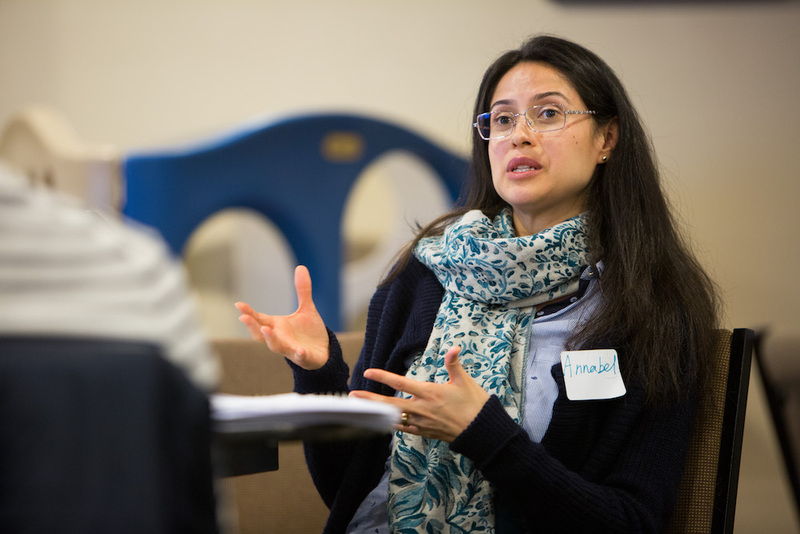 In Southeast Seattle, in a process similar to Neighborhood House’s, the Southeast Seattle Education Coalition (SESEC) engages its coalition of community organizations, schools, parents and caregivers in collecting and making sense of data from more than 500 community surveys in 10 languages to improve how local schools engage with families. In the Kent School District, Ishimaru helped parents, teachers, principals and district leaders co-design a parent engagement curriculum that includes lessons on fostering students’ positive racial identity and combating bullying—a curriculum that is now available to schools throughout the Road Map region and beyond. Kent is now working to take the principles, curriculum and family engagement indicators system-wide to improve processes for engaging with historically marginalized parents, Ishimaru said. The Collaborative’s 40 scholars, practitioners, and family and community leaders represent a broad spectrum of American schools and communities, from inner city Detroit to rural Rhode Island, and from the Mississippi Delta to urban Los Angeles, Ishimaru said. UW College of Education Associate Professor Megan Bang is the Collaborative’s co-primary investigator with Ishimaru, while Research Associate Jondou Chen serves as project director and Assistant Professor Filiberto Barajas-López is also a member of the project. Ishimaru said the Collaborative got its start at the 2014 White House Symposium on Transformative Family Engagement, which brought together leaders in the field from across the U.S. Ishimaru said the symposium made it clear there were many experts from different disciplines who were doing important work around racial equity in family-school engagement, but there was no active collaboration tying these efforts together. In its first year of work, the Collaborative has developed a set of research priorities that envision historically marginalized families at the center of efforts to pursue community wellness and educational justice. They are launching a dozen design circles—a more reciprocal form of focus group—with youth, families and communities focused on educator preparation and professional learning, racial equity initiatives, youth and family leadership, and out-of-school contexts in different areas of the country. For example, Derrick Lopez, associate superintendent of instruction in Southfield Public Schools, is working with principals near Detroit to build authentic relationships with parents. CADRE, a community-based organization serving South Los Angeles, is bringing parents and teachers together around racial disproportionality in discipline. Gerardo Lopez from the University of Utah and University Neighborhood Partners in Salt Lake City are co-designing a process for schools to engage families in resource decisions. And Shirin Vossoughi of Northwestern University is working with an Iranian community school in Chicago. That emphasis on reciprocity also applies to the research methods used by Ishimaru and her team when partnering with school districts and community organizations, as exemplified by her work with Neighborhood House. After an initial observation period, Johnson said Ishimaru’s team facilitated a reflective session with Neighborhood House staff, asked questions, shared early findings and got feedback in a reciprocal process. Ishimaru’s team then turned the results of the entire process into an actionable brief that helped Neighborhood House transform several small-scale data sharing activities into today’s successful, community-wide Data Carousel. One example of such an unexpected ripple effect, Ishimaru said, is that Neighborhood House’s Home Visiting Manager Melanie Roper is planning to become one of Ishimaru’s doctoral students. “After going through the process with Ann and her team, I got more and more interested in what they were doing on their side of things,” Roper said. “I’m really looking forward to working with Ann next year." In addition, based on Neighborhood House’s experiences with Ishimaru, Johnson has invited another of Ishimaru’s graduate students, Dawn Cameron Williams, to develop a dissertation research project about early childhood instruction in collaboration with Neighborhood House. The Equitable Parent-School Collaboration Project has developed a set of free tools that are available online. Originally developed for schools in Washington’s Road Map region, the tools can be used by any school or district to help create more equitable relationships with historically underserved families. A set of lessons designed for and by parents to build their relationships and build collective capacity. A guide to help school districts and educational organizations collect and use indicators of family engagement in a process of family-school inquiry and improvement. A set of recommendations for cultural brokering strategies that build more reciprocal, collective and relational family-school collaborations. A case study of Neighborhood House’s Data Carousel as an example of using data in an inquiry process with families and communities.